IF SIZE MATTERS CHECK THIS ONE OUT! Enjoy 2,840 square feet of air conditioned living area on six acres!! Home features 3 bedrooms, 3.5 baths, 3 car garage plus an in-law suite and detached one car garage. Views of Pond from Formal Living Room, Office off Master Bedroom, and Kitchen/Family Room Through Super Large Screened Lanai! Tile floors throughout. The kitchen is sure to impress with plenty of cabinet space and an island. There is a half powder room bath for guests. 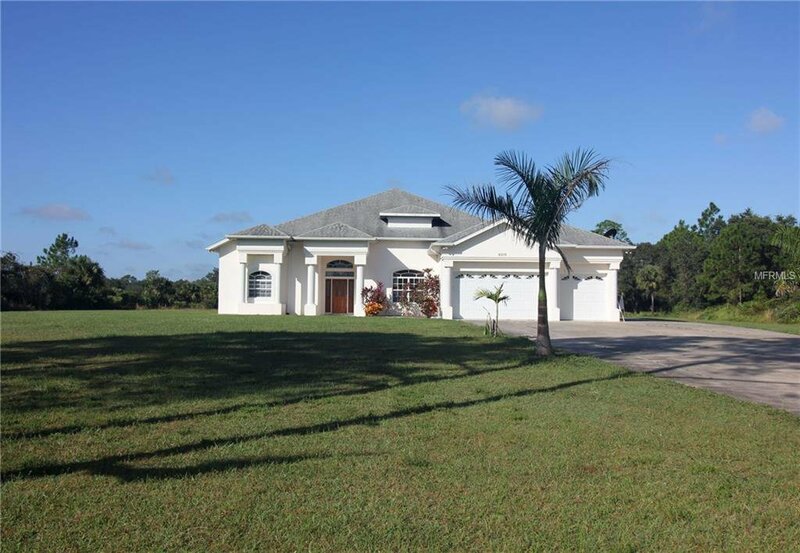 Enjoy the privacy of six acres, but still have quick access to North Port, Port Charlotte, and I-75. Listing courtesy of FLORIDIAN REALTY SERVICES, LLC. Selling Office: RE/MAX PALM REALTY OF VENICE.